Enjoy an amazing part of the environment that only divers can truly get to experience. Rather than only viewing this amazing ocean scenery on the television, in books or at the movie theater, get a first-hand experience by enjoying this thrilling recreational activity. There are many different locations around the world that will provide you with new and exciting experiences. Swim through the coral reef, take in views of exotic marine life or even explore a ship wreck. If you have an interest in becoming a diver and making it a regular hobby, there are some tips that you can take advantage of in order to improve your overall diving skills and to stay safe while in the water. These sensible tips will help to prevent accidental injuries and will teach you the guidelines of scuba diving around the world. As a new diver, it is extremely important to remember that every dive you make should be a safe dive. A S.A.F.E D.I.V.E consists of self-reliance, attitude, fitness, experience, diving skills, involvement, variety and equipment. 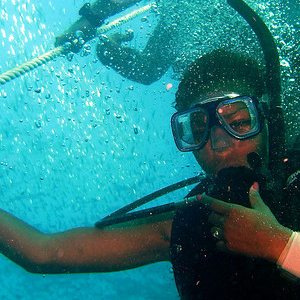 In order to enjoy a safe dive, you will need to be self-reliant. This means that you are in control of your own dive experience. Your own safety depends upon your skills and the way that you behave while in the water. Always make well-informed decisions while in the water and steer clear of taking risks that could lead to potential injuries. Know your limits and your equipment limits and never push them to the edge which could lead to a disastrous dive. It is also important to maintain a good attitude while recreational diving. Ensure that your mind is in the right state to complete the dive and that your mind will not be wandering in other directions while under water. If you are currently dealing with stress, are under pressure or have other major concerns, it may not be the right time to complete a dive as a new diver. Fitness is also extremely important, as well as your fitness level when completing a dive excursion. Before diving, ensure that you have undergone a physical and are in good heart health. Be aware of different signals that your body may be telling you regarding your limits and what you are able to complete during the dive. Take a diving course to increase your experience level and always dive in areas that are recommended for your skill level. Proceed with caution into dive areas and never jump right in, especially when you are unfamiliar with an area. In order to make the most out of your diving experiences, you may want to get involved with diving communities around your area. 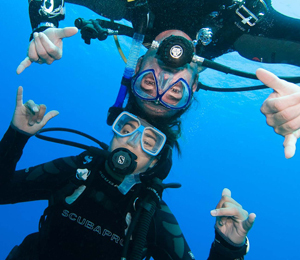 Make friends with other divers and enjoy excursions with them. Becoming active in the diving community can open up new diving opportunities that you may have never gotten to experience before. 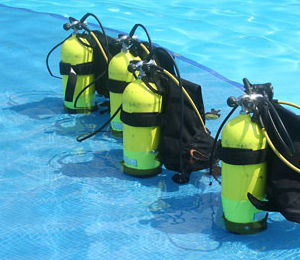 In addition, you will also want to make sure that you have the proper equipment on you at all times while diving. You will also want to know how to use all of your equipment and can easily access it in any given situation.